Most f the bipartisan bills passed by the House are setting on Harry Reid's desk. He won't allow a vote. The House voted 249-163 to disapprove of President Barack Obama’s transfer of five Guantanamo Bay detainees for Sgt. 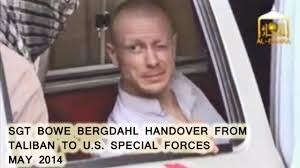 Bowe Bergdahl, providing a soft rebuke of the president’s actions on the prisoner swap. On the nonbinding resolution vote, 22 Democrats joined all 227 voting Republicans to condemn the administration for not providing the 30 days of notice required by law before transferring a prisoner at the Guantanamo Bay Detention Center. Armed Services Chairman Howard “Buck” McKeon, R-Calif., called the prisoner swap an “obvious” violation of the law, and he said Congress needed to understand the national security risks posed by transferring detainees before such a swap takes place.